With this inflatable dinosaur costume, you do not need to worry what to wear in the fancy dress parties any more. The costume will be dispatched to you with a decorative hat, a fan and battery box to inflate the costume. Once you put four AA batteries in the battery box and turn on the fan, the costume could be inflated in a second. 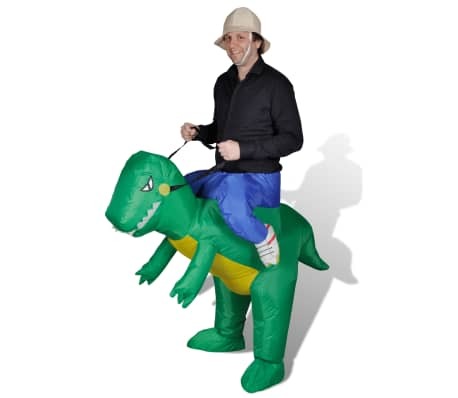 Then step into the legs of the dinosaur costume and tighten the strap, the amusing and funny image of you would come out. Yes, it is that simple. 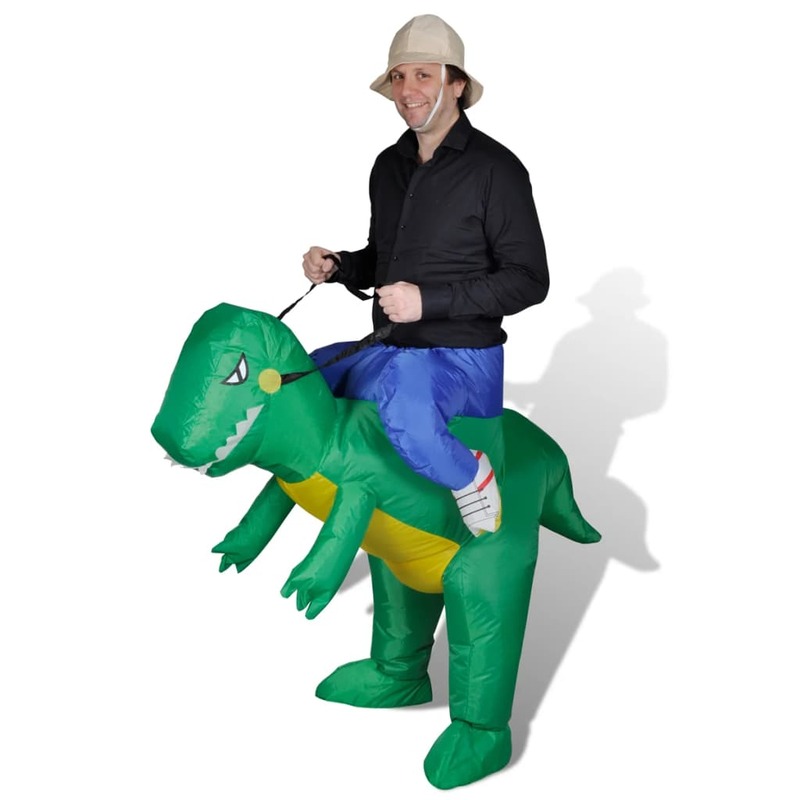 With this inflatable costume at hand, just a few steps are needed to get happy laughter and make you the spotlight of a party.